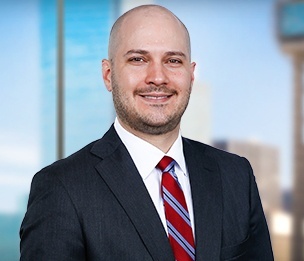 Joe Rubio is a litigation associate in Dykema's Dallas, Texas office. Joe serves as an advocate for clients faced with a variety of commercial disputes across a broad spectrum of industries. Joe has prosecuted and defended cases involving probate disputes, breach of fiduciary duty, eminent domain and condemnation, and oil and gas disputes. Joe also has experience representing clients in the transportation and logistics industry, as well as matters involving personal injury and wrongful death, premises liability, and products liability. Joe has experience advocating for clients with a variety of international trade compliance issues, including the export of dual-use items, licensing and license exception determination, sanctions administered by the U.S. Office of Foreign Assets Control and the Foreign Corrupt Practices Act.